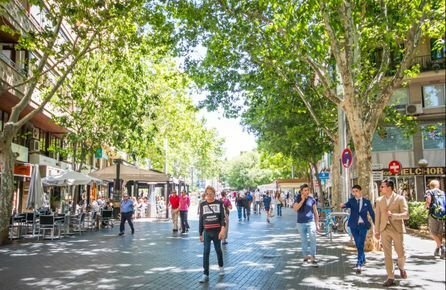 If you choose to live in the area of Plaza España, you are in one of Palma's most busy and lively areas. 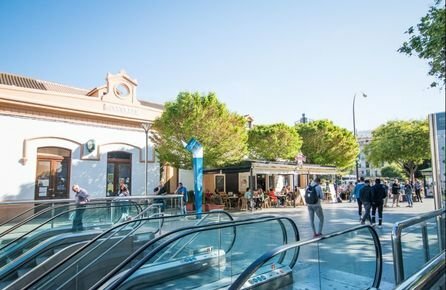 In this neighbourhood you can really feel that Mallorca's capital is a big city that comes in a small package, with plenty of bars, cafes and fast food restaurants combined with boutiques and department stores. In this area you can find both old, charming houses and newer and more modern buildings. If you like a green lifestyle, it is easy to find inspiration around here. Health food stores, vegetarian restaurants and the organic fruit and vegetable market on the Plaza Patines are just a few examples of what this neighbourhood has to offer. 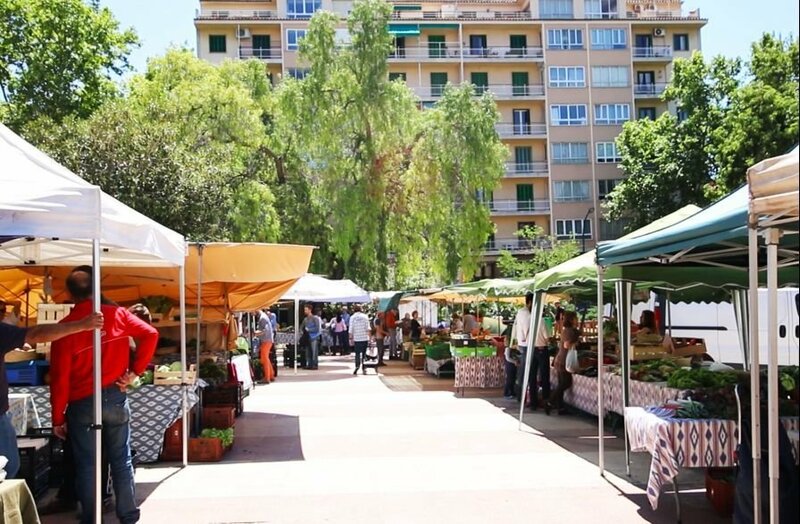 Also the market Mercat de L'Olivar is just a few steps away from the plaza and Palma's busiest shopping streets. The famous El Corte Inglés is also just around the corner. If you want a break from the city life, you are close to all communications, whether you choose to travel by train, bus or taxi. And the bus takes you directly from Plaza España to Palma Airport in less than fifteen minutes. 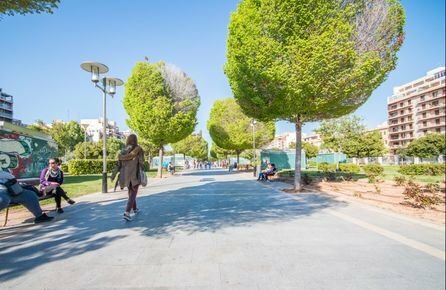 And within walking distance you have Playa de Palma, where you can go for a swim in the Mediterranean sea, have a drink at one of the beach clubs or just stroll along the long and lovely beach promenade. Life is all about the contrasts! Wherever you want to go, you will get there fast from Plaza España. Anyone who wants to feel the city pulse! 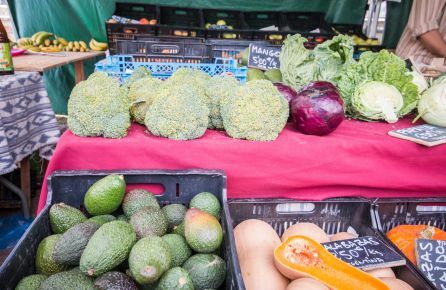 The organic market at Plaza Patines every Tuesday and Saturday.